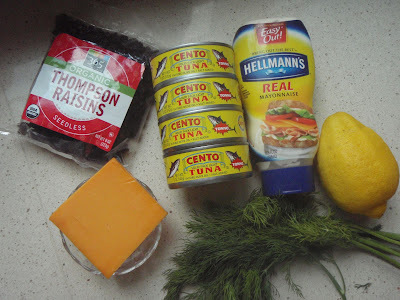 My kids love tuna salad sandwiches for lunch. I do, too! Who doesn't? Here are two of our favorites. As you may have guessed, the type of tuna you choose will alter the flavor greatly. For tuna salad I like Tonno -this is solid light tuna from Italy packed in olive oil. 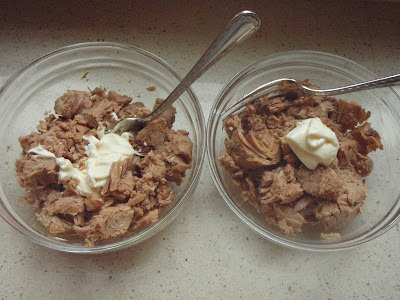 I drain the oil but the tuna is still very moist and retains flavor from the oil. You only need a little bit of mayonnaise as a binder. 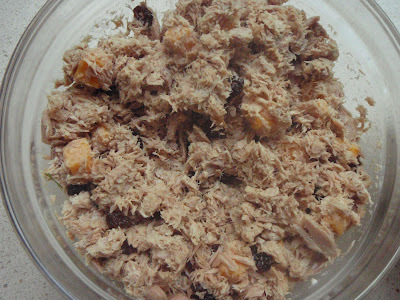 If you are used to making your tuna salad with tuna packed in water you will really see a difference in flavor --I think superior. Won't you try it and see? 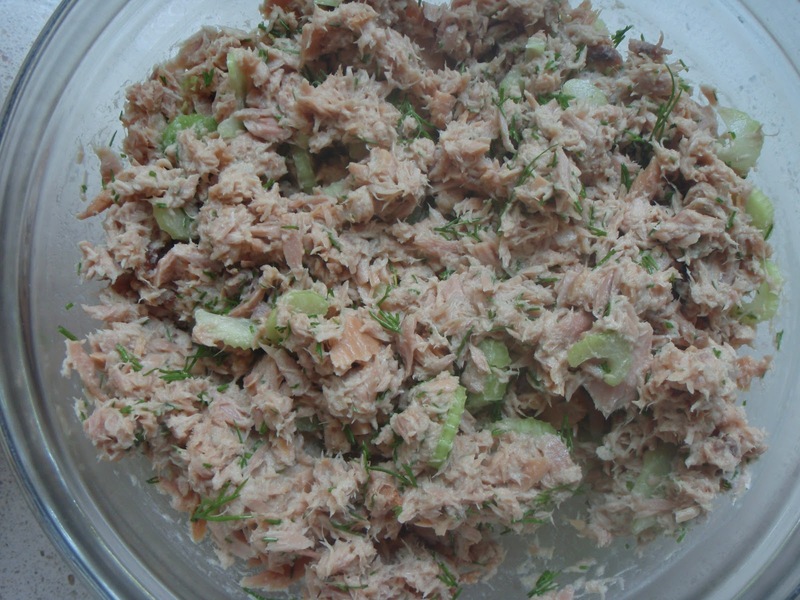 Drain oil from tuna cans and using two bowls empty three cans into each bowl. 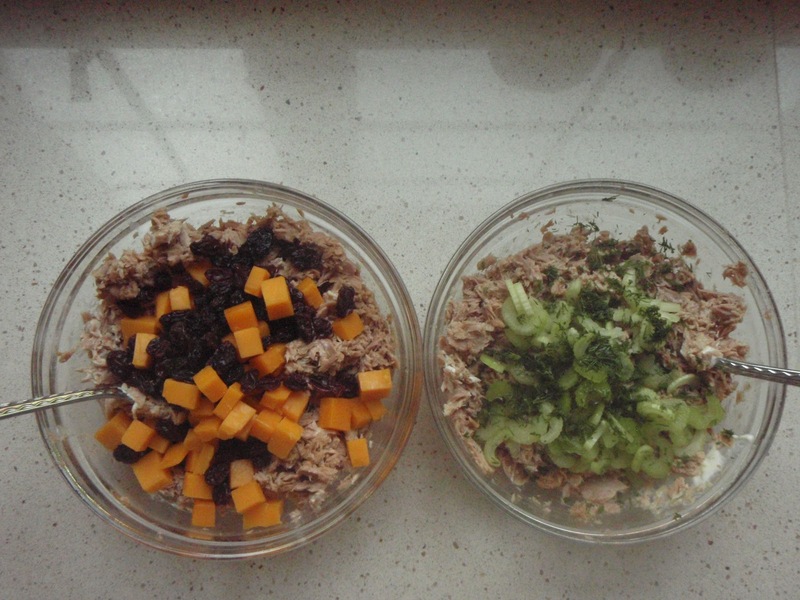 (15 ounces per bowl.) Add 1 or 2 tablespoons mayonnaise to each bowl and using a fork mix into the tuna. 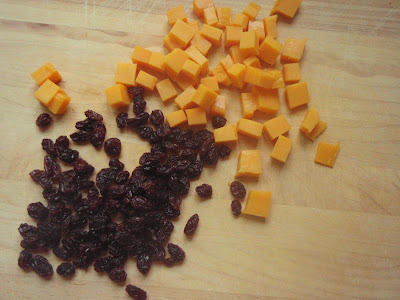 Add the raisins and cheese to one bowl and mix to combine. 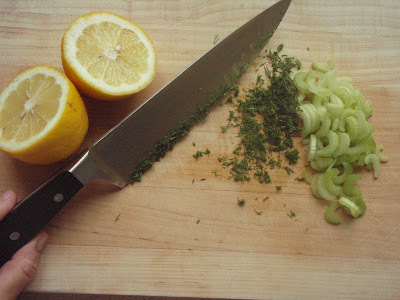 Add the juice from the lemon, celery, and dill to other bowl and mix to combine. I DO NOT add salt or pepper. I think I will try your recipe. Looks delish!